Home » Altcoins » What is OAX Coin (OAX)? Current swap exchanges for cryptocurrencies suffer from the problem that although it is possible to swap between different coins, the displayed value is not fixed. This is due to the central processing of these transactions, since an exchange is recorded in the internal systems but not implemented immediately. This can result in so-called spreads, which arise due to the central processing of the transaction. For example, if users swap bitcoin for any other cryptocurrency, this is usually possible. However, it can happen that a swap exchange does not have the corresponding foreign currency and therefore there is a deviation in the transaction. This is where OAX Coin takes the stage. OAX is a platform that seeks to eliminate the centralization of barter transactions and aims instead at decentralization, so that all transactions carried out become effective immediately. In addition, this should result in greater transparency in risk assessment and pricing of risks. The Open ANX platform will provide a solution to this problem using the Ethereum blockchain. The advantages of existing approaches are to be enriched by decentralization and existing services, so-called asset gateways, are to be combined with the Open ANX platform in order to offer customers a better risk analysis. In addition, the protection of customer deposits is also to be promoted. Thanks to the open source approach, the project is transparent and can be promoted by users and the community. Due to a lack of influence by states or other external regulators, transparency is created by adjusting the block chain. Open ANX sees the crux of current file-sharing exchanges in centralization and therefore pushes the development of OAX. The team behind ANX has a wealth of experience and is also focused on further developing crypto-currency technology in the future. In addition, the ANX team brings together experts from the technology, finance and legal sectors. Open Anx was founded by Ken Lo, Hugh Madden, Dave Chapman, David Tee, Jehan Chu and Bok Khoo. In addition to the founders, there are 17 other employees who are responsible for development, marketing and strategic planning. Furthermore, the team can already have partnerships with other financial institutions at this stage. The long-term goal of Open ANX is the decentralization of payment transactions and an optimized assessment of financial risks for users. The project is financed by the OAX coin, which is also traded. The Initial Coin Offering of OAX, in which 30 million coins were issued, took place on July 4,2017. Upon completion of the Initial Coin Offer, market capitalization was US$ 18.7 million. In addition, the current value of an OAX coin is 0.0022 USD. The previous high was hitherto recorded on October 2 at a price of USD 0.0028 per coin. In addition, more than 80% of trade between OAX and Ethereum takes place, due in particular to its technological proximity. 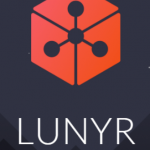 Current price is at USD $0.47 with a market cap of almost USD $12 million. The average daily trading volume amounts to 6,000 coins, so there is no high volatility. You can’t buy it directly for fiat on any exchange. You can choose the best BTC exchange for your region and buy BTC there, then trade it for OAX on exchanges. Read here how you can quickly convert other coins to bitcoin and the other way around. 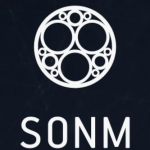 What is SONM Coin (SONM)?